The journalist who wrote the article has a little bit of fun stopping a local man and questioning his reason for wearing the shamrock on the 17th March and asking "who was St. Patrick ?" 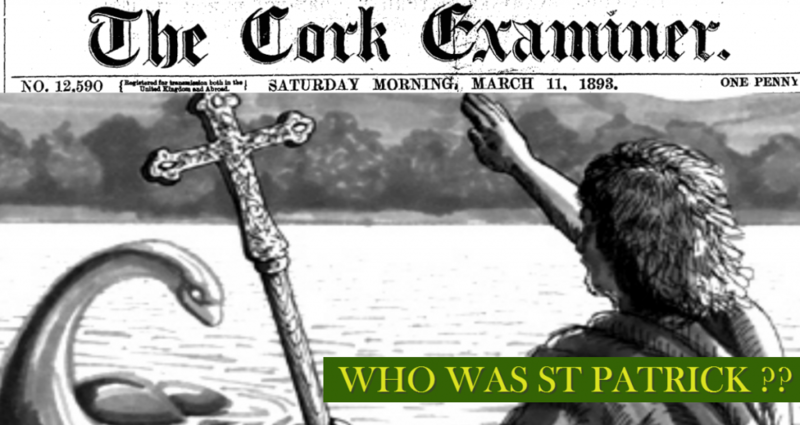 Although the local man known as Pat; doesn't have the answers the journalist investigates the legend of St Patrick and tells the story of sorcery and magic. Not only did St Patrick banish all the snakes from Ireland but he also laid waste to the fertile lands of the Druids and eventually had the land swallow them up! Start you adventure today and discover over 9 million pages of Irish History with membership to Irish Newspaper Archives.